Coming as absolutely no surprise to anyone, I've decided to step back from blogging. I'm still going to post occasionally, but not on a predictable schedule and generally not anything beyond cute pictures and stories about my kids. I'll throw in some homeschool bragging for good measure. Even before I got pregnant, I was struggling to think of topics that would interest readers. I spent too much time staring at my blinking cursor, hoping for inspiration. Writing wasn't fun anymore. I have written quite a bit about some of my favorite topics and don't think I have much more to say about them. 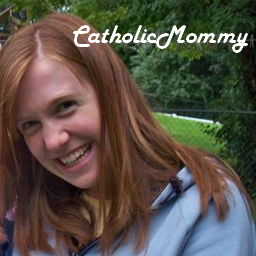 I am now part of Catholic365.com as an outlet for thought-provoking articles on faith. This blog seems to have outlived its usefulness. Also, I'm pregnant, homeschooling, and trying to squeeze in a fitness routine, too. My evenings are precious. However, I have friends and family telling me somewhat regularly that they love seeing pictures of the kids and reading about them. My family is scattered across the United States; Peter's godfather has been deployed overseas multiple times. I don't want to completely give up this avenue of keeping in touch. For those who don't know me in real life, thank you for supporting me over the past couple of years. It has surprised and touched me to know that strangers find my thoughts interesting. I won't be deleting any archives, so if you want to come back to read older posts, they will still be here. And of course you're welcome to read whatever tidbits I post about my kids.